There are two major trends in the development of FRP / composite materials technology. One is to open up the application scope of; the other is to continuously improve the advanced performance. 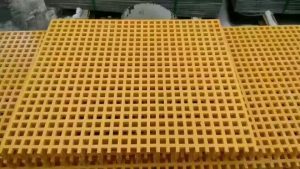 At present, the vast majority of FRP / composite materials developed and applied are resin-based FRP, of which thermosetting is the mainstay, and the application range has gradually taken over from accessory parts and sub-contractors to sinta FRP grating. In recent years, the basic thermoplastic glass has a larger growth momentum, annual growth rate of about 15% -20% of glass steel mills. Advanced composite materials, which have been in use since the 1970s, are mainly used in aerospace and cutting-edge technologies. Although the overall proportion is small, they represent the frontier of composite materials development at an annual growth rate of 8% -20%. In the area of ​​FRP / composite materials, there have been some new developments in technology such as pultrusion, resin transfer molding compounds (RTM), sheet molding compounds (SMC) and polypropylene fiberglass thermoplastic stamping sheet (GMT). At the same time, three-dimensional reinforcements, composites forming processes, composites recycling technologies, and breakage repairing technologies are gradually improving with the continuous development of composite materials . Thermoplastic FRP / Composites In recent years, thermoplastic FRP / composite materials have been developed rapidly, mainly due to three reasons: First, the availability of raw materials, the price is low.